A $10,000 reward is being offered for details that will lead to solving the case of the death of a Monroe woman. 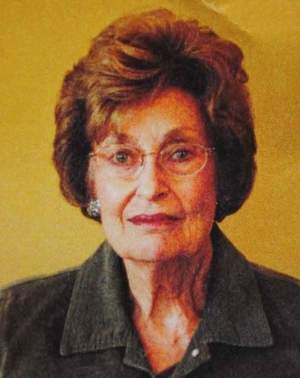 The body of Barbara Howe, 87, was found in the trunk of her 2005 Cadillac parked at the Woodbridge Apartments in Middletown on November 1, 2012. She was last seen alive on October 28. Howe’s family members reported her missing on October 30 after not hearing from her since the night of the 28th. No signs of a struggle or a break-in were found at her home, as reported by authorities. Mount Pleasant Retirement Village, the community in which Howe lived, is offering a $5,000 reward. The other $5,000 is being put up by her graduating class of 1943. Details on how she died have not been released by police, though it’s indicated as a homicide and they have stated they are working on several leads. Mrs. Howe was the wife of a car salesman, who gave back to her community by developing scholarships at Miami University Middletown and helped fundraising to build the WWII Memorial in Washington D.C. She was described as a “social butterfly” by her friends and was always active in events at Mount Pleasant. Anyone with information is asked by Monroe police to call investigators at 513-539-9234 or the tip line 513-360-2211.